(TibetanReview.net, Jan07’16) – Tibet’s exiled spiritual leader, the Dalai Lama, has returned to his home in Dharamsala on Jan 5 after concluding a month-long trip of religious teachings and other engagements in the Tibetan settlements at Hunsur and Bylakuppe in Karnataka state and in Bangaluru and New Delhi. The religious teachings were given at the Tashi Lhunpo Monastery and the Gyumey Monastery over Dec 9 to Jan 2. The Dalai Lama also took part in a Mind and Life Conference in the Sera Monastery. After concluding his events in the Tibetan settlements, the Dalai Lama gave a talk to the Indian Administrative Service Association in Bengaluru and was then felicitated at a special event held in New Delhi by his Indian friends, admirers and supporters in New Delhi on Jan 5. 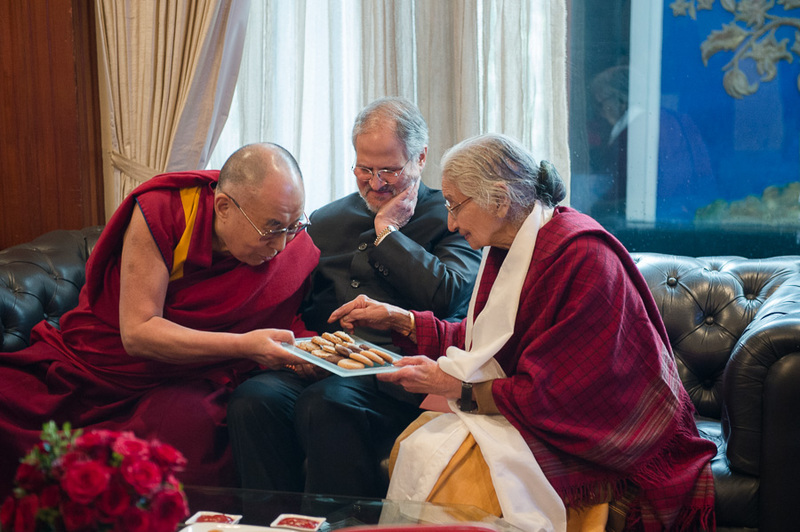 The Dalai Lama also took part in a series of events in Bangaluru before beginning his Tibetan settlement visit. These included an address to teachers, student and guests at the National Institute of Mental Health & Neurosciences. On Dec 6 he addressed a gathering of the Diplomatic Consular Corps of Karnataka in the city which was attended by representatives of some 20 countries. He also delivered the first Distinguished Fellow Lecture at the National Institute of Advanced Studies, a centre of higher learning in interdisciplinary and multidisciplinary research in natural sciences, social sciences, arts and humanities. The Dalai Lama had cancelled all his foreign tours following doctors’ advice that he took complete rest for several weeks while he was in the US in late Sep 2015.